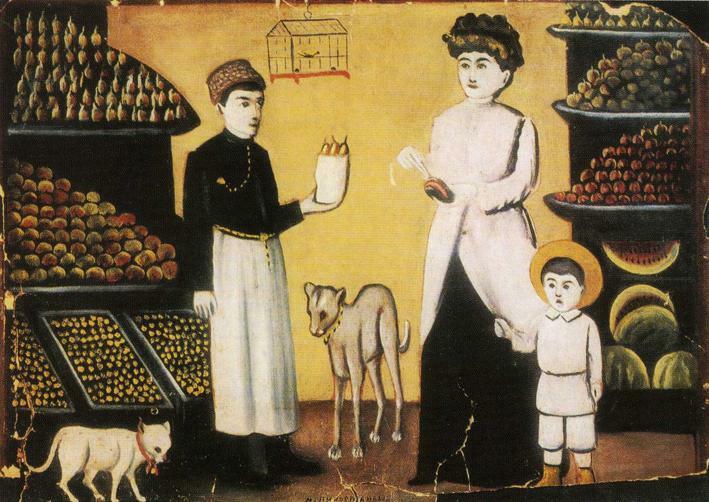 Over the course of a brief and often impoverished life, self-taught Georgian artist Niko Pirosmani (Niko Pirosmanashvili) (Georgian: ნიკო ფიროსმანი) produced an immense number of paintings, many of which have been lost over time. Posthumously, his reputation grew when his naïve style became admired in the art circles of Paris after the end of the First World War. 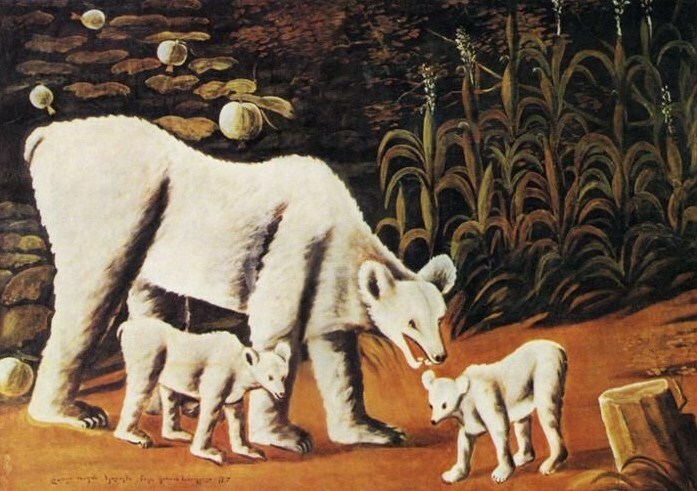 Naïve art is a classification of art that is often characterized by a childlike simplicity in its subject matter and technique. 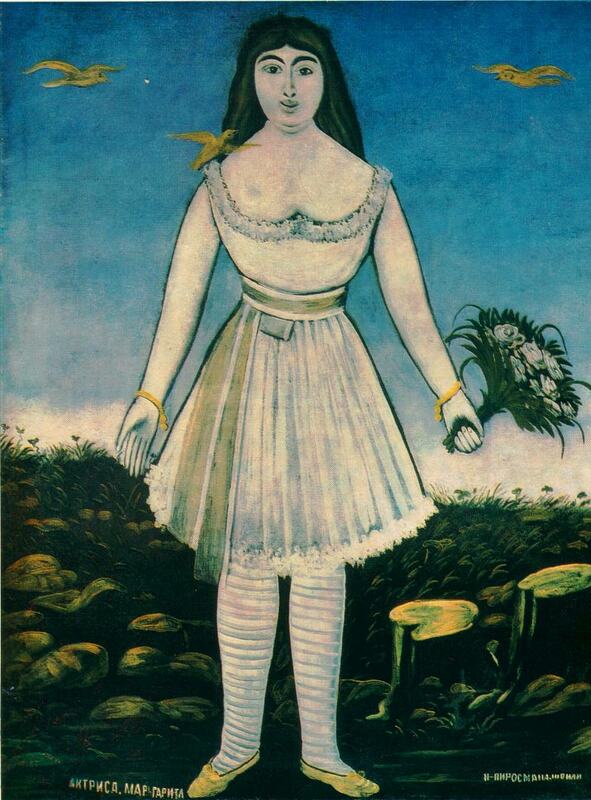 Themes chosen in naïve art frequently relate to the childhood of the artist, the place where they were born, the surroundings they grew up in, their livelihood and festive occasions. 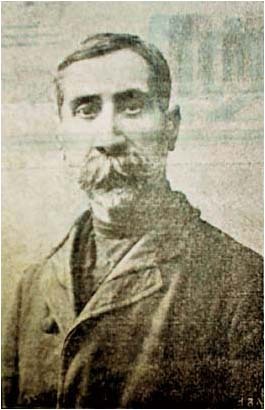 Born to a peasant farming family in 1862 in the village of Mirzaani in the Kakheti region of Georgia, his family owned a few cows and oxen and a small vineyard. Niko taught himself to paint, creating his own oils for painting directly onto black oilcloth, a heavy cotton or linen cloth with a linseed oil coating. Niko was always poor, but willing to work, and held many jobs throughout his life, including as a servant to wealthy families. He also painted signboards for shopkeepers and white-washed buildings. 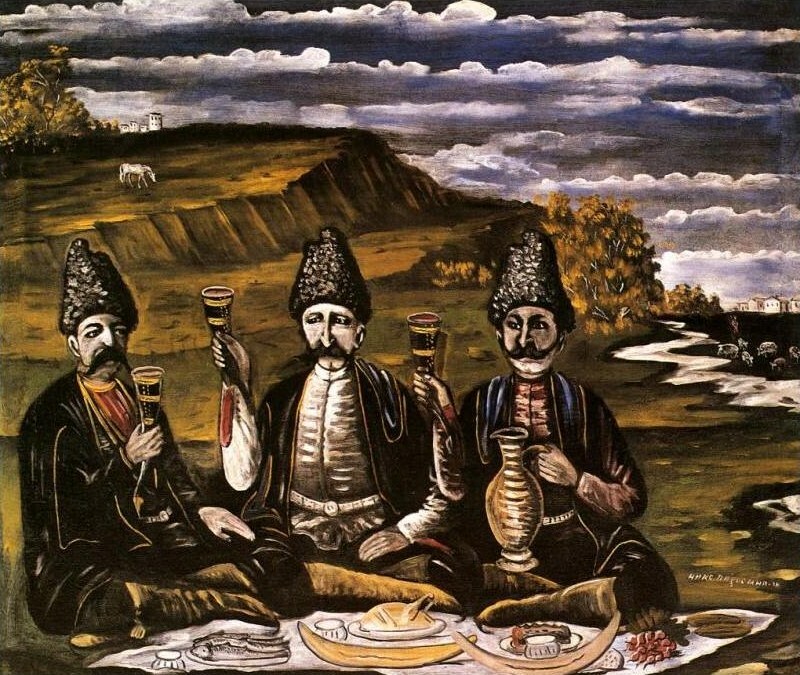 He painted many scenes showing Georgians feasting and celebrating life. His need to earn money meant that he rarely associated with professional artists and his art, which was often sold for a small fee in “Dukani” (restaurants) and the poorer districts of Tbilisi, was rarely seen within artistic circles. One of his most famous paintings is of a french dancer/actress called Margarita who came to Georgia in 1905. Niko saw her perform in Mushtaid Park in Tbilisi and was immediately besotted with her. It is said that he sold everything he owned to buy thousands of roses that were strewn in front of Margarita’s hotel. This extraordinary, romantic gesture was recounted in the lyrics for the pop song A Million Scarlet Roses (1984), written by Russian poet Andrei Voznesensky and sung by Alla Pugachova. Not much is known about Margarita and her relationship with Niko but it is known that she did return to Paris. 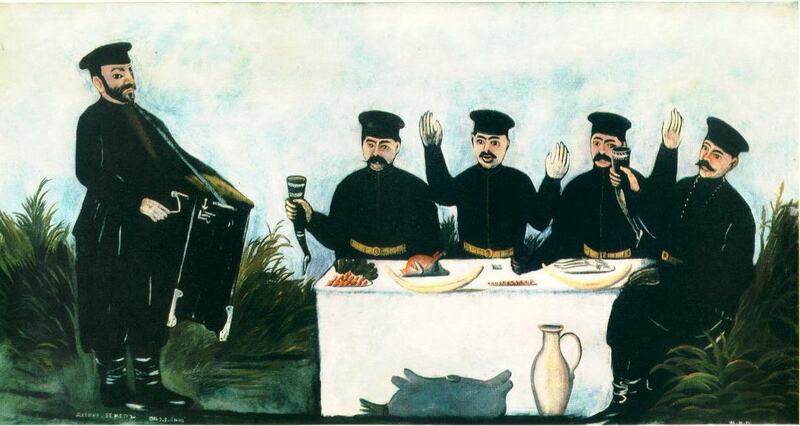 Niko continued to paint and display his work in restaurants but success and recognition eluded him. His later years were particularly difficult. He was homeless, suffered from poor health and slept in basements in the Sadguri (railway station) neighborhood of Tbilisi. On 9 April 1918 he was found unconscious and taken to hospital but died several hours later. The cause of death was stated to be malnutrition and liver disease. 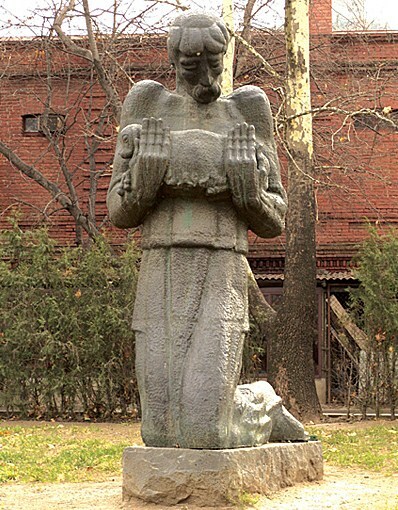 A monument, designed by Elguja Amashukeli, was erected in Tbilisi. 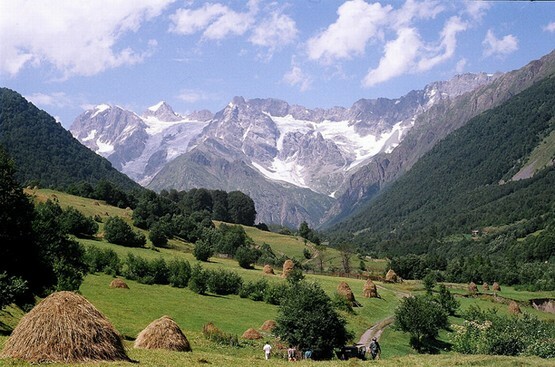 There is a Niko Pirosmanashvili State Museum in the village of Mirzaani in Kakheti. 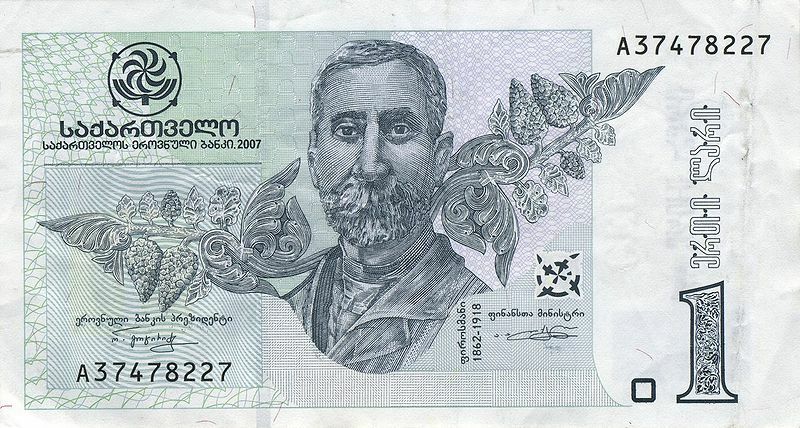 Niko Pirosmani is depicted on the Georgian one lari bank note. 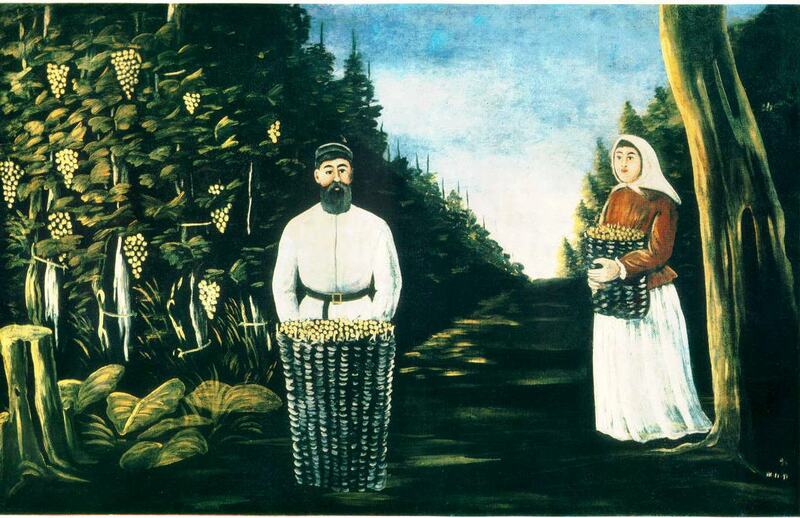 The majority of Niko’s surviving works are displayed in the Shalva Amiranashvili Museum of Fine Arts in Tbilisi. Exhibitions of his work have been held in Kiev (1931), Warsaw (1968), Paris (The Louvre) (1969), Vienna (1969), Nice and Marseilles (1983), Tokyo (1986), Zurich (1995) and Turin (2002), Istanbul (2008) and Vilnius (2008–2009). Today, the Pirosmani name enjoys worldwide renown. His works hangs in major art galleries and is reproduced in glossy art books and catalogues. I love the art work; thank you for the post! What beautiful, evocative art. It’s a tragedy that so many of our artists, musicians and writers live in poverty and aren’t recognized for their work until after their deaths. I’m always amazed at the power of the drive to create. So many of our artists are willing, even perhaps compelled, to dedicate their lives to art despite the consequences. You are right Shary. Creativity is a powerful driving force and our world would be much less colorful without it. They are very different Kevin and very powerful in their simplicity.